The Kikka is a Rank V Japanese jet fighter with a battle rating of 6.7 (AB/RB/SB). 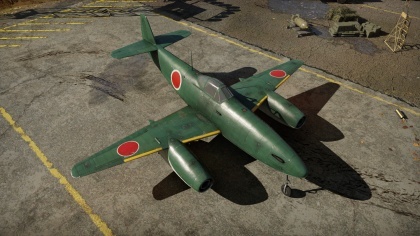 It was introduced in Update 1.43. The Kikka is a well-armed and powerful fighter-bomber. The Kikka starts out with a single 30 mm and you will have to research the 'otsu' mod before you can obtain the second 30 mm. It is important you utilize your speed to your advantage, as that is its biggest advantage against most aircraft it encounters. A good turner in high speeds, but in low speeds you may find it difficult to turn as well as to regain your speed. Always maintain an energy advantage over your enemies, so you can quickly engage and disengage your targets. Never try to keep on them unless you know you have the advantage. It is recommended you do not 'head-on' other targets until you have acquired the Otsu mod. 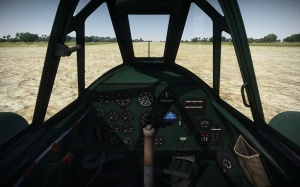 The Kikka is a very durable and well armoured aircraft, so it can take a multiple hits in a head-on. Regarding its bombing capabilities, it makes the Kikka significantly slower and can be difficult to control. Speed is a must with the Kikka, and it is recommended you perform high-speed dive bombing to ensure the destruction of your target and to escape pursuers. The speed you gained in your dive can be maintained by your now unburdened plane. Make sure to use the rocket boosters to take off or else the aircraft will have significant difficulty taking off with bombs equipped and be unable to retract the landing gear. 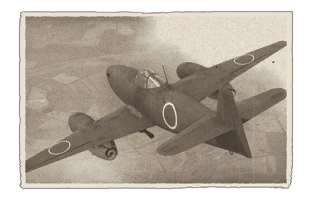 The Kikka has the weakest jet engine in-game. This translates into a slow acceleration, poor climb rate, and low top speed for a jet. The pilot is quite heavily protected from the front and rear by both armour and self sealing fuel tanks. The wing mounted engines on the other hand take damage easily and minor damage to them will further slow down your plane to speeds that even props can match. The guns are very powerful and can down fighters in a few solid shots, but they often spark. The Kikka should be played as a Boom & Zoomer. It has a good roll rate so it can still catch enemies that attempt to dodge your attack. Pursuers can be outrun by going into a slight dive. Most jets are a significant threat to the Kikka. As noted earlier, it has weak engines so aside from the Yak-15 and Yak-17 all other jets will be able to catch up to it. Super props like the P-51H-5NA can also catch the Kikka. To attempt to gain the upper hand on a Kikka, propeller planes should dive from at least 2,000 m above the Kikka to be able to catch the it. If the Kikka goes into a turn fight, it will generally severely bleed its energy making it an easy target to be defeated by the prop plane. III Wings Repair Otsu mod. The Otsu modification unlock allows the installation of a second 30 mm Type 5 cannon. The second test flight of the Kikka - 11th August 1945. The Nakajima Kikka or Kitsuka as it is also known, was Japan's first entirely jet-powered aircraft, based loosely on the information they had received on the German Me 262 Schwalbe. 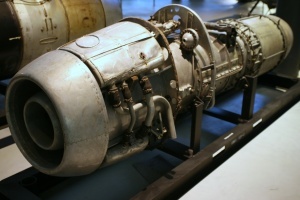 Whilst the clear resemblance can be seen, the Japanese were not able to receive all of the information that was provided through a negotiation on 1944 with the German high command over the licencing for plans on both the Me 262, BMW 003 and Junkers Jumo 004 Turbojet engines. Examples and plans were lost with the sinking on a I-29 Submarine that carried the important cargo, however all was not completely lost. Parts of the designs were saved as they were flown in to Japan separate from the Submarine. Upon further inspection of the BMW 003A plans, the Japanese designers found it somewhat similar to their own Ne 12, with the major differences being the German engine used a axial-flow compressor rather than a centrifugal compressor. Work began on newer engine designs. but ultimately the Ishikawajima Ne 20 engine was the one selected which was an indigenous Japanese design based on the knowledge of the German engines. The Kikka would be noticeably smaller than the German design, with more straight wings as opposed to the swept back leading edge of the Schwalble. Rather than the 4 x 30 mms cannons on the 262, the Kikka would use just one or two Type 5 30 mm cannons. The ever increasing pressure from the B-29 raids ensured that aircraft such as the Kikka were a high priority for the Japanese as interceptor aircraft. However the aircraft would not fly until August 7th 1945, by which time, the Japanese were rapidly running out of time. It would fly again on the 11th August 1945, suffering a crash landing which damaged the aircraft and its engines severely. That would be the last time the aircraft would fly again as just days later, the surrender of Japan was broadcast over the radio, signaling the end of the Kikka development. This page was last edited on 19 December 2018, at 00:40.